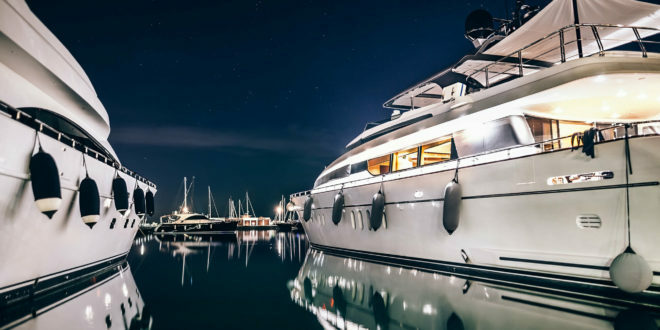 The newly relaunched London Yacht Show, to take place from May 8-12 at St Katharine Docks in the heart of London, is being billed as a ‘boutique’ event, with a VIP preview day very much setting the tone for the show that will focus on high-end luxury products. In the two weeks since the event was relaunched as London Yacht Show, Sunseeker, Princess and Fairline have joined more than 10 brands that have signed up to exhibit their boats & yachts including: Azimut; Bayliner; Bavaria Power & Sail; Chris Craft Boats; Discovery Yachts; Greenline; Hallberg Rassy; Malibu Boats; Sunsail Yacht Ownership and Sealine. More brands are expected to be announced in the coming weeks, with the organisers in close discussion with at least another eight builders. The relaunched show replaces the London On Water Boat Show, which was acquired by Informa in late 2018, and will be organised by Informa Markets with partners, British Marine and St Katharine Docks. The organisers are hoping to attract around 12,000 visitors, and Williams confirmed that builders will be allowed to show no more than three models in an attempt to broaden the brand, type and size of boats on display. The Docks has capacity to show around 60 boats of up to 35m and there is room for eight superyachts adjacent to the Docks. The Yacht show market is not new to the Informa business which has a portfolio of world class maritime events including the prestigious Monaco Yacht Show in Europe as well as the Fort Lauderdale International Boat Show and Miami Yacht Show. Informa’s extensive visitor database will no doubt play an important part in ensuring the event attracts the HNWIs to live up to its billing. Visitors can purchase tickets, which will be priced from £30 up to £160-£180 for VIP passes, to attend: Thursday 9th: 11am – 8pm; Friday 10th: 11am – 8pm; Saturday 11th: 10am – 6pm and Sunday 12th: 10am – 5pm.